Do you need to keep tracks how many visitors have visited your site pages? Bytutorial.com has another little great module which will track the number of hits of your page. The module is designed to keep track of each individual page. 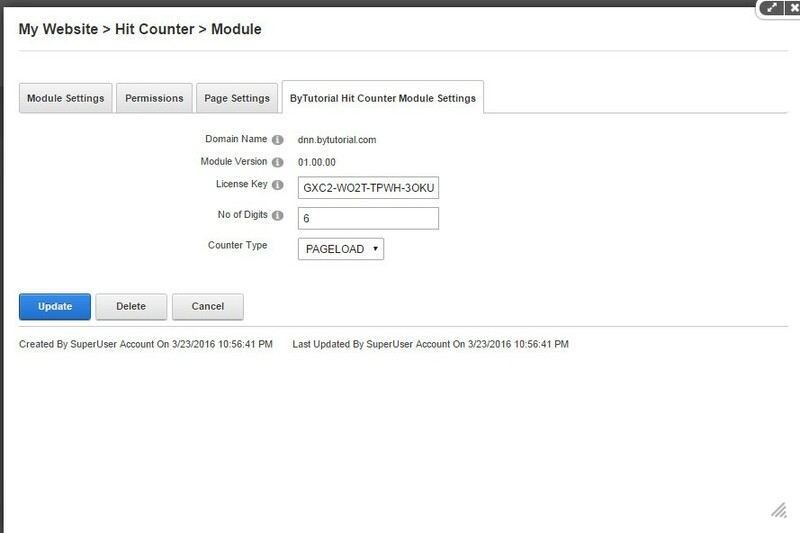 How to install the Hit Counter DNN plugin? Once you have obtained your free license key. Go to module settings and enter your license key.